140. Raj PP, Bhattacharya S, Kumar SS, Parthasarathi R, Palanivelu C. Concomitant intraperitoneal onlay mesh repair with endoscopic component separation and sleeve gastrectomy. Journal of minimal access surgery. 2017 Dec 11. 141. Garg H, Aggarwal S, Misra MC, Priyadarshini P, Swami A, Kashyap L, Jaiswal R. Mid to long term outcomes of Laparoscopic Sleeve Gastrectomy in Indian population: 3–7 year results–A retrospective cohort study. International Journal of Surgery. 2017 Dec 1;48:201-9. 151. Nasta AM, Goel R, Dharia S, Goel M, Hamrapurkar S. Weight Loss and Comorbidity Resolution 3 Years After Bariatric Surgery—an Indian Perspective. Obesity surgery. 2018 Apr 3:1-8. 156. Palep J H, Khandelwal N K, Kahale P, Singhal T. Mal-Absorptive Bariatric Procedure Causing Keshan’s Disease, Advances in Obesity, Weight Management & Control. 160. Vinnyfred Vincent, Himani Thakkar, Sandeep Aggarwal, Asit Ranjan Mridha, Lakshmy Ramakrishnan, Archna Singh. Exploring the status of adipose tissue ATP binding cassette transporter A1 (ABCA1) and its modulation with insulin resistance in obese individuals". Submitted to International Journal of Obesity. Paper #: 2017IJO01473. Aggarwal S, Priyadarshini P, Agrawal S. Current Concepts in Bariatric Surgery: A Review. In GI Surgery Annual 2015 (pp. 103-134). Springer, Singapore. Ahluwalia JS. et. al. Essentials and Controversies in Bariatric Surgery. InTech, 2014. Chapter 7: Novel Metabolic Surgery: Loop duodenojejunostomy with sleeve gastrectomy. Ahluwalia JS. et. al. Essentials and Controversies in Bariatric Surgery. InTech, 2014. Chapter 7: Laparoscopic Adjustable Gastric Banded Plication (LAGBP). Ahluwalia JS. et. al. Obesity, Bariatric and Metabolic Surgery: A Practical Guide. Springer, 2015. Chapter 41: SILS Gastric Bypass. Bhaskar AG. Bariatric Surgical Practice Guide: Springer, 2016. Chapter: Management of leaks after sleeve gastrectomy. Edited by Dr. Praveen Raj Palanivelu, Dr. Saravana Kumar and Dr. Rachel Gomes. Bhaskar AG. Complications after gastro-intestinal Surgery: Oxford University Press, 2017. Chapter: Complications in Bariatric Surgery. Edited by Dr. Samiran Nundy and Dr. Dirk J. Gouma. C.Palanivelu ,Obesity-Myths & facts (in tamil), 2009. Chowbey PK. Bariatric Surgery - Importance in Obesity management. Ed. Munjal YP. Postgraduate Medicine (Recent Advances in Medicine). Volume XXI, February 2007, 413-422. Goel R. Progress in Reproductive Endocrinology. Jaypee, 2003. Recent Advances in Management of Obesity. Pg 215-223. Jammu GS. Comparison of Results of Mini-Gastric Bypass to Sleeve Gastrectomy and Roux-en-Y Gastric Bypass. Technique of Conversion of Failed Sleeve Gastrectomy to MGB. InEssentials of Mini‒One Anastomosis Gastric Bypass 2018 (pp. 201-213). Springer, Cham. Lotwala V, et. al. IAGES Comprehensive Laparoscopic Surgery Textbook. 2006. Chapter: Laparoscopic Roux en Y Gastric Bypass. Pattanshetti S, Huang CK. Minimal Invasive Surgery. Chapter: Scarless Bariatric Surgery. Pattanshetti S. et. al. Impact of Metabolic surgery on NAFLD, Elsevier ltd. Chapter: Metabolic aspects of NAFLD. Pattanshetti S. et. al. Practice guide of Bariatric surgery, Springer. Chapter: GERD and Bariatric surgery. Pradeep Chowbey. Bariatric Surgery – Surgical management of morbid obesity. Ed. Rashmi Sinha & Satwanti Kapoor. OBESITY – A multidimensional approach to contemporary global issue. Publisher Dhanraj Book House, New Delhi. 2009. pp317-331. Pradeep Chowbey. Metabolic Syndrome - Surgical Management. Ed. Roshan Lall Gupta. Recent Advances in Surgery. Pub: Volume 11, 2006. pp 133-147. Pradeep Chowbey. 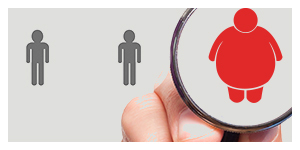 Obesity – Indian Perspective and scope of Metabolic / Bariatric Surgery. Ed. Om Tantia. Essentials of Bariatric & Metabolic Surgery. Compiled by ILS Hospital, Kolkatta 2010. pp 13-19. Pradeep Chowbey. Reoperative Bariatric Surgeries. Ed. Om Tantia. Essentials of Bariatric & Metabolic Surgery. Compiled by ILS Hospital, Kolkatta 2010. pp 157-164. Pradeep Chowbey. Surgical Therapies in Management of Obesity and Metabolic Syndrome. Ed. Anoop Misra, R.R. Kasliwal. Recent Advances in metabolic Syndrome II. Pub Elsevier,New Delhi 2011. pp 92-118. Sandeep Aggarwal. Obesity, Bariatric and Metabolic Surgery: A Practical Guide, First Edition, Publisher: Springer. Chapter: Laparoscopic Sleeve Gastrectomy: Technique, Complications, Outcomes and Controversies: Section Editor’s Comment. Editors: Sanjay Agrawal, pp.246 . Shivaram HV. Laparoscopic Surgery by IAGES. 2018 (Soon to be published). Mini Gastric Bypass(MGB) 0r One Anastomosis Gastric Bypass(OAGB). Shivaram HV. Evidence Based Practices in Gastrointestinal, Colorectal & Hepatobiliary Surgery. Jaypee Brothers, 2017. Role of Bariatric Surgery in Developing Economies. Tnak A. Surgical Gastroenterology. 2nd ed. Paras Medical Publisher. Chapter 65: Assessment & Complications of Obesity. Ugale S. Obesity, Bariatric and Metabolic Surgery - A Practical Guide, Springer: Aug 2015. Chapter: Current Status of Ileal Interposition with BMI-Adjusted Sleeve Gastrectomy. Editors: Sanjay Agrawal. Mathias A.L. Fobi and Mohit Bhandari. Laparoscopic Banded Gastric Bypass Surgery. Obesity, Bariatric and Metabolic Surgery. A Practical Guide. Sanjay Agrawal Homerton University Hospital London UK. Section IX Other Operations for Obesity.2016; chapter 47 page 447. Bhandari M., Mathur W. (2018) Mini-Gastric Bypass Using Single or Reduced Number of Ports. In: Deitel M. (eds) Essentials of Mini-One Anastomosis Gastric Bypass. Springer, Cham. 2018; Page 163-170. Standardization Of Technique In Roux-en-Y Gastric Bypass. Bariatric Surgical Practical Guide. Springer:pages 80-89. Randeep Wadhawan. Bindal V, Patton K, Giulianotti PC, Daskalaki D. Near-Infrared Imaging with Fluorescent Tracers in Robotic Surgery. In Imaging and Visualization in the Modern Operating Room. 2015;195-203. Springer NewYork. Bindal V, Yadav AK. Immunofluorescence and Robotic Surgery. In A Practical approach to Robotic Surgery 2016; 10-16. Jaypee Brothers, India. Bhatia P, Bindal V, Yadav AK. Robot Assisted Sleeve Gastrectomy. In A Practical approach to Robotic Surgery 2016; 27-32. Jaypee Brothers, India. Bhatia P, Bindal V, Yadav AK. Robot Assisted Roux-en-Y Gastric Bypass. In A Practical approach to Robotic Surgery 2016; 33-39. Jaypee Brothers, India. "Bariatric Surgery- Surgical Options and Anesthesia Perspectives, Author- Dr Vandana Soni published 2016 by Springer "
"Obesity in Asia and its management- An introduction’ Author Dr Vandana Soni, published in2009 in the Book ‘Obesity- A multidimensional approach to contemporary global issue’"
Praveen Raj Palanivelu, Saravana Kumar, Rachel Gomes. Bariatric Surgery practice guide. Springer, 2017.